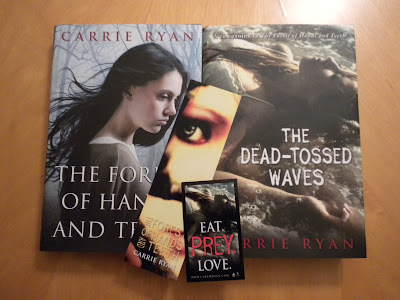 A Literary Odyssey: Autographed Carrie Ryan Giveaway! Sounds like you had a great time at the signing. I would love to be entered in this giveaway and I am an old follower. I would love to be entered to this giveaway and I'm an old follower. 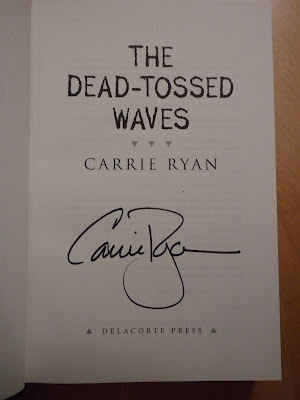 I haven't read the Dead-Tossed Waves yet, but I can't wait. Thanks for the giveaway! Great giveaway! 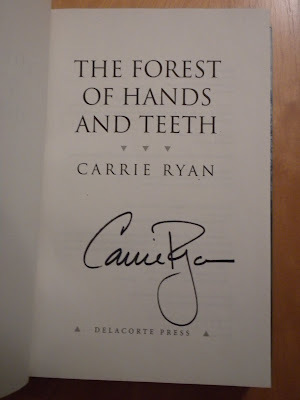 I've been wanting to read The Forest of Hands and Teeth. :) I'm an old follower. Wow, that is awesome! Please count me in. I'm an old follower. 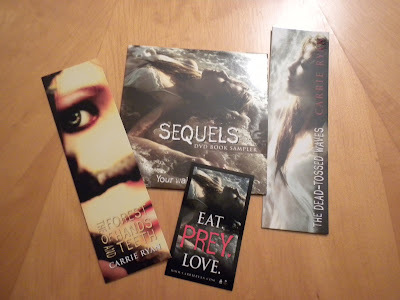 Carrie sounds like an awesome author to meet! Anyway, great giveaway! I was a follower prior to the contest. Oh my goodness...PLEASE!? I love these book and checked my FHT out from the library so it would be nice to have a copy. Following! 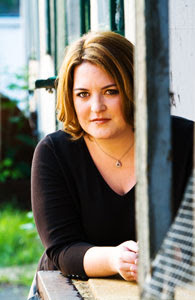 Her books have been on my TBR list for several months - how fun that you got to meet her. 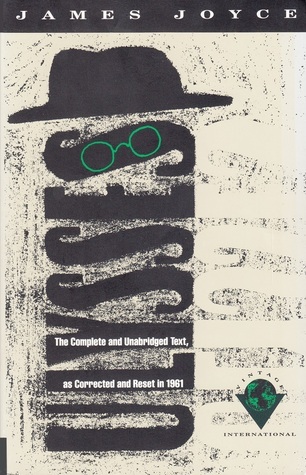 I am now a follower and look forward to seeing what other books you are reading. I would love to be included. I am a follower and posted here http://donnasbloghome.blogspot.com/2010/03/contests-found-320.html and on the sidebar. Oh! Enter me please - I'm a follower. Please enter me in the contest. I read Forest of Hands and Teeth and I want to see what happens next. I'm a follower. Great giveaway! Thanks for doing that. :) I'm very excited to read the Dead Tossed Waves. This is my first time visiting your blog (good timing on the contest!) 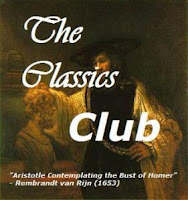 and I think it's cool that you're reading through the classics. My bookshelves are filled with classics to be read, but I keep getting distracted by great YA reviews. :) Have a great week! kinda old and following for awhile. What a great book signing! It sounds like she was so interactive - that's really awesome! I would so love to win this and I am an old follower! Thanks!